In the news, today and yesterday... on the Elderly. Good to know... and plan... the earlier... the better. A report by the Institute of Policy Studies found that 80 per cent of respondents said they felt confident their needs will be taken care of as they grow older. 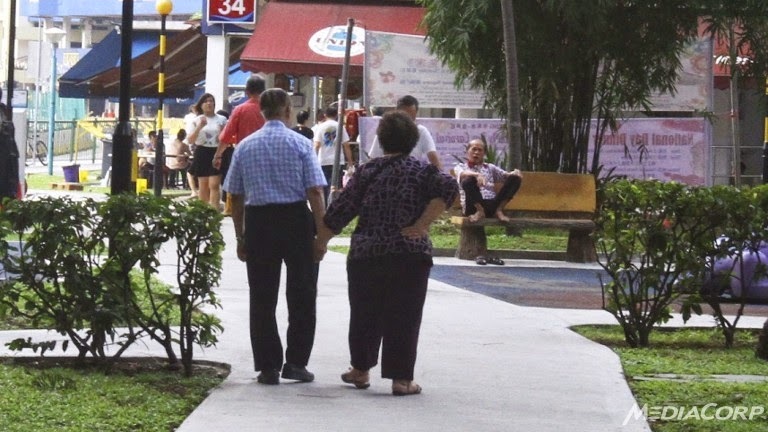 SINGAPORE: Most elderly Singaporeans have a positive outlook about the prospect of growing old in Singapore, according to a report released on Wednesday (Oct 15) by the Institute of Policy Studies (IPS). The majority of respondents – about 80 per cent – said they felt confident their needs will be taken care of as they age. About 70 per cent said they look forward to each new day and feel there is meaning in their life, while 60 per cent said they look back on their lives with a sense of happiness. Still, there are concerns. 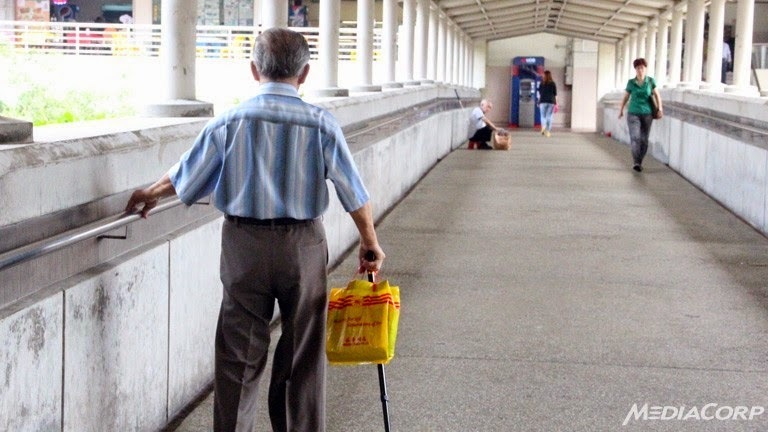 Only 37 per cent of respondents agreed with the statement that "in general, most elderly Singaporeans have little to worry about", and 46 per cent rated their financial adequacy as average or poor. According to the report, quality of life starts dropping from the age of 65 – far earlier than a study done in the United Kingdom, where quality of life starts declining from the age of 75. Researchers said that could be because in Singapore, life often revolves around work. Retirement could thus lead to a sense of loss, and this could be an issue as the population ages and shrinks, and the elderly can no longer rely on the extended family for support. This is were community connections come in, said IPS Senior Research Fellow Mathew Mathews. "The aspirations of the elderly include being socially connected. They realise it would give them some kind of meaning. But of course, if we think about the current social connectedness, a lot of it revolves around the family. There is considerably less social connectedness with the community, and I think that is a very important aspect of people being able to age well, age in place and their ability to feel there is a community around them, not just the family," he said. For the elderly who do not have children, "that will also impinge on their level of family connectedness", he pointed out. "Having people build strong connections with their community, with friends would be important, and those kinds of meaningful connections can't wait until retirement. It will have to start earlier. "People have to take to the idea of having some kind of work-life balance, because if all their life revolves around work and the rest of the little time that they have is back with family, there is little time to cultivate leisure or learning or some kind of involvement in the community. When that happens in the later years, it will be very difficult for them to restart and build that kind of connection." The majority of respondents said their social networks and activities revolved around family, with nearly 90 per cent saying they have get-togethers with their family at least once a month. Less than 10 per cent engaged in social activities through attending a course, participating in grassroots or community activities or using a senior activity centre, within a month. The report’s researchers said that with changing demographics, the elderly of the future will be better educated and financially more prepared for retirement. The challenge is to actively engage older Singaporeans in the community, they said, recommending that there be more options for the elderly to volunteer their time and expertise as well as more community-based activities. With the growing number of singles and childless couples, the researchers also said the traditional expectation that the needs of the elderly can be taken care of by their families has to be debunked. Instead, there needs to be sufficient infrastructure for ageing in place and community social support for those who grow old in the absence of extended family support. The study, commissioned by the Council for Third Age, which promotes active ageing here, covered more than 2,000 people between the ages of 50 and 74 years. The report is jointly authored by IPS Senior Research Fellow Mathew Mathews and NUS sociology professor Paulin Tay Straughan. 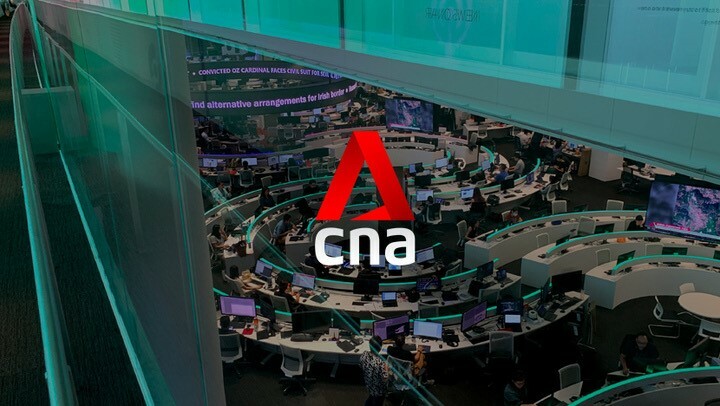 Responding to queries from Channel NewsAsia, Council for Third Age CEO Soh Swee Ping said creating an age-friendly environment and society for seniors takes more than the right infrastructure. "Many parties need to play their part, from Government agencies, social organisations, grassroots, community and commercial organisations. Not forgetting the individual's effort as well, all these need to work in tandem for our society to become a place for successful ageing." She added: "We are glad that most seniors viewed ageing positively, and felt confident that their needs would be taken care of as they age, though they still have apprehension concerning the general seniors' population. In the past, ageing has always been addressed in a negative light, and inadvertently instills fear and the feeling of being a burden. However, the conversation on ageing has begun moving towards a more positive one, associating it with opportunities and societal contribution. We can expect that the new cohort of seniors will embrace ageing quite differently. They will be more knowledgeable on how to equip themselves to age successfully." About 90 per cent of respondents to a survey said working after retirement is a good way to stay financially independent, stay connected with society and offers the elderly a sense of self-worth. SINGAPORE: Most elderly people in Singapore are keen to continue working after retirement, according to an Institute of Policy Studies (IPS) report on a survey commissioned by the Council for Third Age. It covered more than 2,000 people between the ages of 50 and 74. The survey, released on Wednesday (Oct 15), found that 90 per cent of respondents felt that working after retirement is a good way to stay financially independent, stay connected with society and offers the elderly a sense of self-worth. But while the outlook on working after retirement was positive, it was a different story when it came to actually being in a job. Only 53 per cent of respondents said there were sufficient job opportunities for seniors in the current job market. Nearly half (48 per cent) said there were no suitable jobs that could match their qualifications and experience. The survey noted an overwhelming perception - more than 60 per cent of respondents - that potential employers prefer to hire younger workers. About a third also said they felt their lack of job hunting skills was a barrier to continued employment. The issue of employability is a complex one for seniors, the report’s researchers said. “Increasing optimism for employability has to involve both greater buy-in from employers and also more realistic expectations by seniors about work and the need for retraining,” the report said. “Redesigning work to make it more manageable and flexible is a step in the right direction since it allows seniors to participate in the workforce, though hopefully at a pace they are comfortable with." IPS' senior research fellow, Dr Mathew Mathews, elaborated: "It is kind of complicated. On the one hand, it is about new ways of doing work, redesigning work, such that you are able to not demand the same kind of hours and allow a certain amount of flexibility. Because we do recognise that people at the older stage may not want to work the same kind of level, they want to pursue other activities as well. So some redesign of work would be very crucial." Employers must also be able to see that older workers can make valuable contributions, noted Dr Mathews. "There is always that perception that jobs which are meant for seniors are fairly menial - these are not the kind of jobs which can tap on to the pre-existing skills that seniors have. Seniors have a lot of experience and jobs need to take that into consideration." Deputy CEO of the Employment & Employability Institute (e2i) Ms Ang Li May said that when the institute works with employers, it tells them to look at mature workers as people with years of experience who can contribute to the organisation. She added: "Internally, we also work with training providers to design programmes to guide HR and line managers on how to recruit based on competencies. So from that aspect, when employers are aware of how they can recruit based on competencies and when we refer people who are competent to the employers, hopefully there will be a job match." The study found that most of the seniors in Singapore have a positive attitude towards lifelong learning. Nearly 90 per cent said it helps them to stay relevant, while more than 60 per cent said it can help them improve their skills to get ahead in their careers. However, only 58 per cent of respondents had knowledge of Continuing Education and Training courses offered in places accessible to them, and just 17 per cent had enquired about a course that could help them stay employed. Respondents also said they preferred a less formal classroom setting for learning. With the seniors’ different learning needs and varied preferences for learning, the report’s researchers recommended options such as informal classrooms and courses guided by seniors. Dr Mathews said: "The issue is if I go for lifelong learning and it does not translate to a job, then what is the point? But if people can begin to see that lifelong learning is valuable in itself, you grow as a person, there is information and skills you develop. "That itself is very meaningful, the social connections you can make in that process. If more are able to see that, then the interest in being part of lifelong learning will increase." Training providers said teaching seniors is a totally different ball game. Their needs are different from younger learners. Some require basic coaching in the area of resume writing and interviewing skills. Courses also need to be re-designed to include less formal classroom settings, and more hands-on learning, or even seniors teaching other seniors. "Mature workers with deep passion and convictions gravitate to what they feel deeply about, associate with peers they can identify with and feel validated and affirmed when they are part of the teaching as much as being a learner themselves," said Mr David Kwee, CEO of Training Vision Institute, which conducts courses for adult learners. He added: "Setting up a structure, a process, a set of activities to enable them to learn, to share and to co-create value through learning for living - this makes them and the world they live in a richer, better and more meaningful place."